I'm excited to announce that I've decided to do my first ever giveaway!! It's not too big, BUT, it's still fantastic! I'll be giving one lucky winner a $10 gift card to Target! 3. If you have a blog, give me and my little giveaway a shout out!... and... you guessed it-- leave a comment!!! That is all.. I just want to make some bloggy friends, because you guys are super-duper terrific and YOU are the reason why I decided to make my own blog in the first place! The contest will end in one week, on December 14th. The winner will be chosen randomly... Good luck!! I mentioned your giveaway on my blog and on FB! I follow your blog! Love the snowman ornament! I just found you and am now following! Added you to my blog roll, too. I am now a follower of your super-cute site! Hi! Welcome to the teacher blog world! I found you through Jennifer's First Grade Blue Skies. I'm now a follower. Looking forward to your posts! I added you to my blog roll! Would love for you to follow me; I am getting ready to put up my giveaway! I've added you to my blog list!! I am your newest follower. I think your blog is adorable. Is your name really Mrs. Cupcake? Cuz if it was it is too perfect for a teacher!! I'm just starting out in the boggy world too! I'm happy to follow your blog, it's super cute! I, like you am new to blogging. I am now a follower and I can't wait to see how you grow. Come on over to my blog and let me know what you think. I haven't gotten to the "giveaway" part yet, but that is coming. Good Luck! Just gave you a shout out on my blog. I started following you, and you are on my blog roll! Yay! Who wouldn't LOVE a Target gift card? Great giveaway! I follow your blog! I'm your newest follower! <3 mwah! Found you on First Grade Blue Skies and am now following you! I follow your blog. It's sooo cute! LOVE the site. It is awesome! I follow your blog :) thanks for the chance! Totally mentioned this on my Blog! I mean, Who doesn't LOVE Target?! Lol. So happy Jennifer sent me here! I will follow you too! #50 is my lucky number! I just found your blog! Love it!! I just discovered your blog and am a new follower. 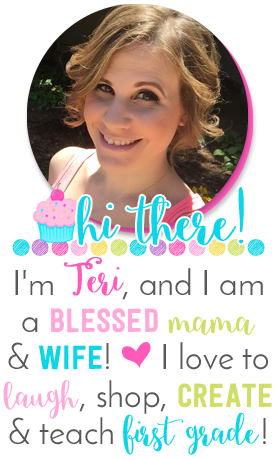 I'm a new follower and love your blog!! Your blog is in my bloglist too! i just signed up for your blog- cute site! I posted about your giveaway AND gave you an award! Check it out! I just found and follow your blog! I just found a sweet treat...your blog! I am now a follower. Merry Christmas! I just discovered your blog and am so impressed! I am now a follower!